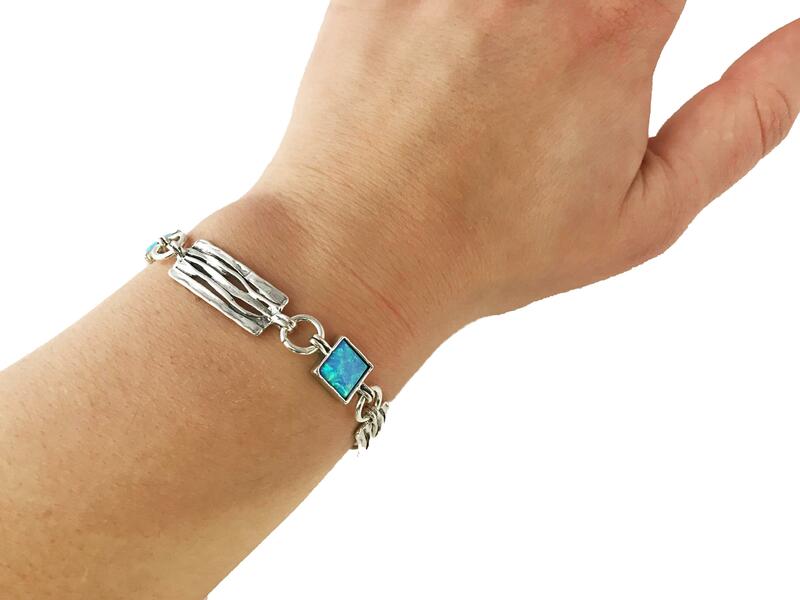 This gorgeous bracelet features three large square blue created opals, interlinked with textured silver pieces with an organic line design. Fastens with a T-bar clasp. 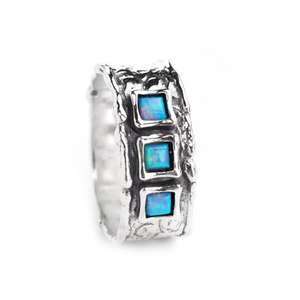 Pair with our Square Blue Created Opal Studs or Pendant for a unique set.